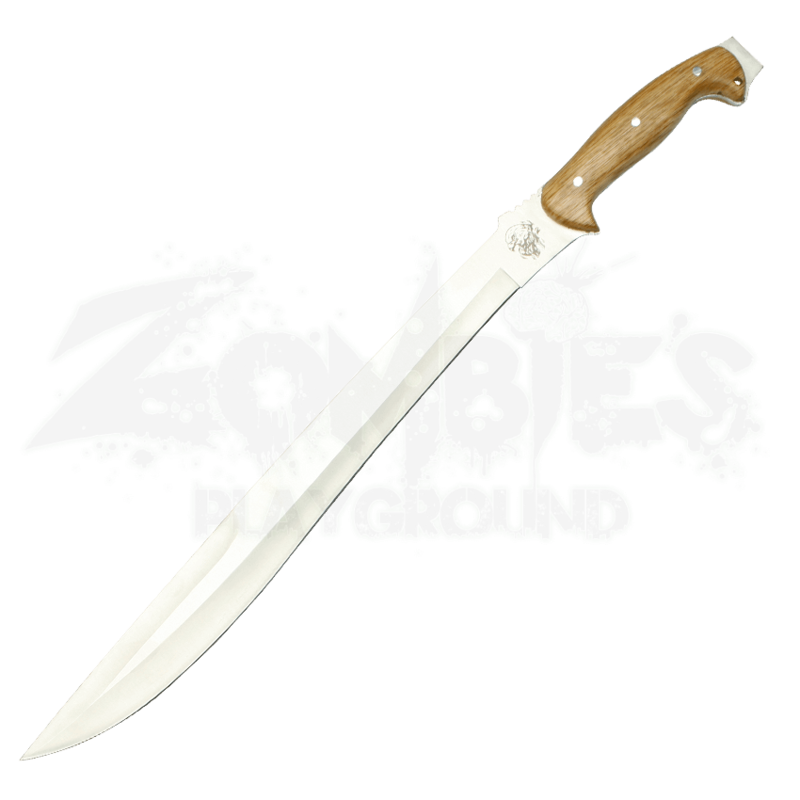 With its forward-arching edge, this Jungle Combat Machete has more in common with an ancient sword then a modern cutting tool, and that is why it performs well in both roles, dealing with brush and foliage or foes and enemies. Measuring approximately 25 inches long, this machete is ideally sized, being neither too large nor too small. 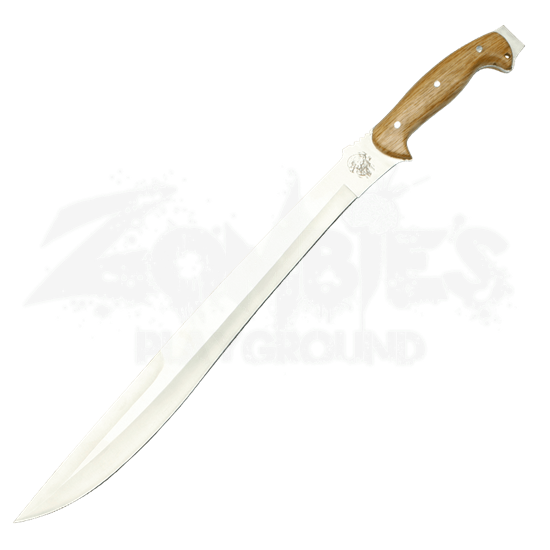 The stainless steel blade has a polished finish as well as a subtle, forward-angled curve that enables the machete to deliver wickedly effective chops and cuts, while also featuring a simple wood handle that is as effective as it is comfortable to hold. The only adornment on this effective blade is an eagle, which is etched into the blade just above the grip. And with its full-tang construction, this machete is a reliable and solid blade that is ready for use. It comes with a nylon sheath that features a shoulder strap for easy and convenient carrying. It is always best to be prepared, and when you carry the Jungle Combat Machete, you will always have a leg up on any brush, plants, or dangerous creatures you encounter, whether you are in your in the jungle, the forests, or even your own backyard.